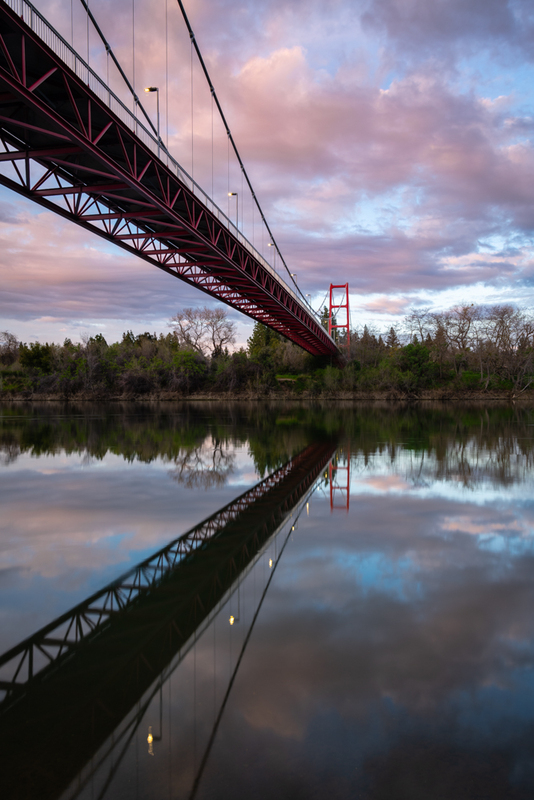 Here is the 4th (out of 5) installment in my commissioned landscape photos of bridges around the Sacramento area. The others are No Hands Bridge in Auburn, Rainbow Bridge in Folsom and Tower Bridge in Sacramento. Although I was treated with a wonderful sunset, the pungent smell of pot and swarms of mosquitoes really killed the otherwise peaceful evening. Last on the list is Fair Oaks Bridge, which needs just a bit more time for the trees to turn green.